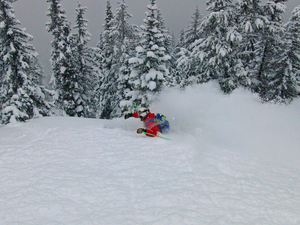 Is it snowing in Grand Targhee ?Thank you! 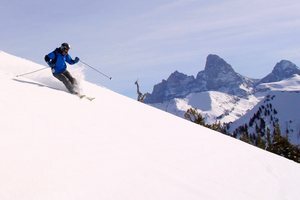 Grand Targhee is a small resort just over 90 minutes drive from Jackson Hole. It receives 500 inches of snow a year. That's over 1/4 more than Jackson and it is quiet! 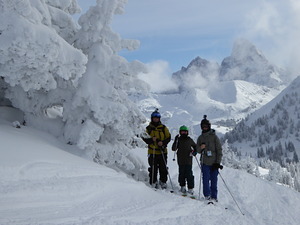 There is a fair mix of terrain at Grand Targhee, but it is the powder than is the main attraction. 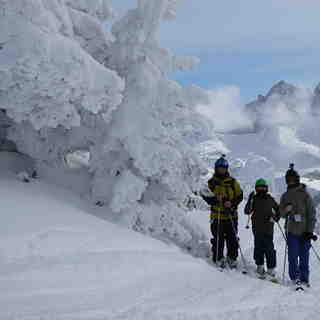 If it has dumped at Grand Targhee then there is stacks of the stuff waiting for you and you will hardly have to wait or cross anyones tracks to enjoy it. 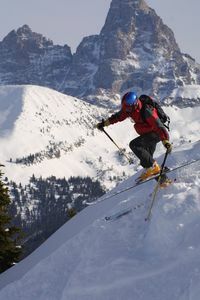 There is accommodation in the modern village at the base of the resort, or in Teton Village which is linked to Grand Targhee by a regular bus service. I've been making my way to Targhee from B.C. for a few years , but starting to go elsewhere now as management thinks they can gouge because Jackson is still much more $$. Used to get deals on liftopia , but no more . 7% off booking a week early, come on!! 90 bucks for 3 lifts is a joke, don't get me started about the food prices! Look around people, there are lots of more reasonably priced ski hills with more vertical and lift capacity.